Although it was only in the post-Second World War period that UFOs really entered the public consciousness, records of mysterious flying machines are found in earlier periods too. In the years 1896-7 there were many reports of a mysterious airship seen in the skies over America. These airships, or scareships as they came to be called, were not as shy as their modern UFO counterparts. At times, were seen by vast numbers of people flying over urban areas. The popular press was filled with sensational reports about them. Typically, they were described as cigar-shaped, and having some sort of a cabin for the passengers who could sometimes be seen inside. A few people even claimed to have encountered the airships on the ground and spoken to their occupants, who, by all accounts, were perfectly normal English-speaking humans. In 1909, there was a spate of similar “scareship” stories in Britain. These airships were usually seen at night, most often in Wales or East Anglia. Witnesses included some reputable figures such as policemen. The vessels were usually described as cigar-shaped, engine noise was often audible, and, usually, they trained powerful searchlights onto the ground as they moved. At that time, Britain had no airships answering this description. Germany, however, did. Tensions already existed between the two countries, and these would eventually climax in the First World War; but at this time, although Germany had the world’s most powerful airships, none could easily have made the long journey to Britain at night. There was another British scareship flap in 1912-1913 and similar ones occurred around the world too. What are we to make of these curious sightings? It is striking how much of an affinity the mysterious airships bear to the conventional flying technology of the time. Terminology such as “masts” and “anchors” are used in witness reports. The vehicles are described as slow-moving, sometimes struggling against the wind; certainly, they have nothing like the speed of a modern flying saucer. Almost no one suggested that the mystery airships were vehicles from another world, occupied by aliens. Brilliant inventors, who had been working on their projects in secret and nefarious foreign powers were the chief suspects. Does this mean that known aircraft established a psychological frame of reference and that people, seeing flying saucers much like the ones reported today, simply interpreted them through that frame? In this view, the UFO reality was the same; only human psychology was different. Or could UFO technology have been evolving just as our own technology has evolved? This is a notion difficult to reconcile with the extra-terrestrial hypothesis – the view that UFOs are the vehicles of beings from outer space. It is hard to imagine aliens flying here in zeppelins. Option 3 is in keeping with the fringe belief that UFOs come from a civilisation buried deep within the Earth – the Hollow Earth hypothesis. Regarding Option 2, it is difficult to believe that an individual would have the resources required to develop technology so far in advance of the mainstream of scientific development, and would then keep quiet about it afterwards, rather than reap the obvious financial rewards that would have been available through a public release of the technology. If the airships were a secret project, therefore, a secret organisation must have been behind it – a vastly powerful organisation, separate from all the world’s governments, undertaking large-scale technological development on its own. Alternatively, it could all have been fraud and fantasy. The scareship stories of the late 19th and early 20th centuries are a neglected part of UFO research. Their similarities to modern UFO sighting reports are as important as their differences. Perhaps they even hold the key to unlocking the UFO mystery once and for all. 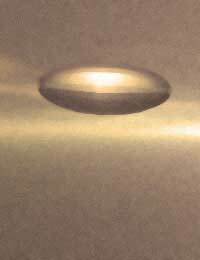 There are 2 or more important concepts that the UFO literature rarely talks about. The first is the psychological phenomenon of projection. Our perception is filtered through our beliefs and the contents of our psyche. Whenthe centers of consciousness are not clear, perception is not accurate...there is no clarity. The 2nd is what Jung called the collective unconscious. That is the depository of unconscious human psychic contents and thought forms. The Universe is multi-dimensional and we are multi dimensional Beings. Our beliefs and thoughts create actual forms in some of these dimensions. These 2 concepts definitely factor into the UFO phenomenon.